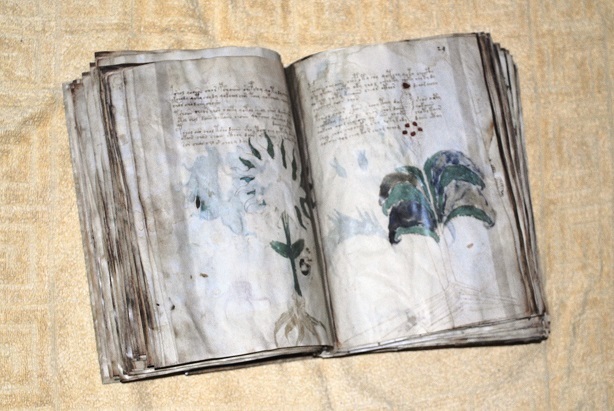 Has the Voynich manuscript been deciphered by Russian scientists? 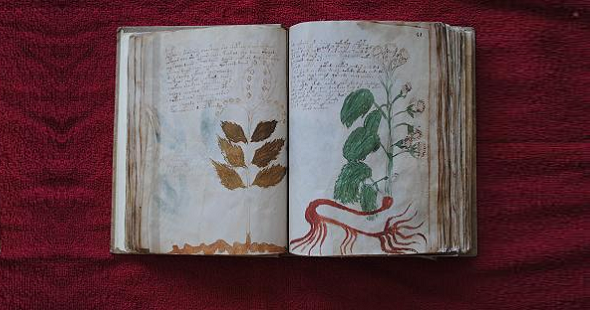 Once again, the secret of the world’s most mysterious manuscript has been unlocked. This time the alleged solution comes from Russia. Does this one make more sense than the many others published before? There are more than 50 persons who claim that they have found the solution of the Voynich manuscript – or at least that they have come pretty close to it. Some Voynich solvers believe that the manuscript was written in some old or lost language, others think that it was encrypted in a peculiar way. Still others even believe that the Voynich manuscript was written by extraterrestrials. However, all these proposed solutions have one thing in common: none of them has ever been accepted by the Voynich experts. A new (alleged) solution from Moscow? A few days ago a new alleged solution of the Voynich manuscript was published (thanks to Tobias Buckenmaier, George Lasry, Ralf Bülow, and Thorsten Voß for the hint). It goes without saying that I am always very skeptical about Voynich solutions. Is this one any better than the many others that have been published before? A first look at one of the articles describing the new finding showed that this proposed solution is at least not one of the most ridiculous kind. There are no extraterrestrials involved, and the cleartext neither reveals the location of the philosopher’s stone nor the identity of Jack the Ripper. To be precise, the authors of this new publication don’t even claim to have deciphered the Voynich manuscript. They only say that they have come close to it. Learning more about the alleged solution is not as easy as it seems. So far, I haven’t seen anything that resembles a research paper. The original source seems to be an announcement published by a Russian news agency in Russian. According to this announcement, the new hypothesis was developed by a team of scientists (mathematicians?) from the Keldysh Institute of Applied Mathematics (Russian Academy of Sciences). The team is lead by some Yuri Orlov, who is completely unknown in the Voynich scene. I hope, this is not a joke. Yuri Orlov is also the name of the main character in the movie Lord of War (played by Nicholas Cage). 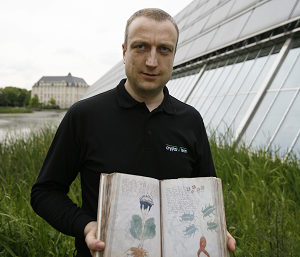 Orlov and his team started their examination of the Voynich manuscript by conducting a statistical analysis of the text (certainly a good idea). They came to the conclusion that the unknown author of the manuscript used a simple encryption scheme: First, vowels and spaces are removed from the text; second, the resulting letter sequence is united in a new text, bestrewed with spaces beforehand. The cleartext consists of passages written in different languages – English, German, and possibly Italian, Spanish, or Latin. According to afore-mentioned Yuri Orlov, it is impossible to restore the entire cleartext because many words are ambiguous due to the missing vowels. Orlov’s alleged Voynich solution is certainly one of the less spectacular ones. This makes it more credible than many others, but it doesn’t mean that it is correct. So far, it is not possible to say more about this new hypothesis, simply because not much is known about it. The Russian news agency publication only gives a rough overview on how Orlov’s alleged solution works. I hope, Orlov and his team will publish a detailed paper about their findings in the near future. One obvious question concerns the entropy of the text in the Voynich manuscript. If the vowels are omitted in a text, the entropy rises. Is the entropy of the content of the Voynich manuscript high enough to be consistent with a consonant-only text? I hope that the Russian researchers will give a plausible answer on this question. If a reader knows more about the work of Orlov and his team from another source, I would be very interested to learn. Further reading: Does the Voynich manuscript show the solar eclipse of April 15, 1409? The other has him as “Yurii Orlov”. Not impressed. Pretty pictures. He’s got a theory, but just throwing statistics at manipulated text and seeing where it fits with other languages (including Sindarin and Esperanto) doesn’t seem to me to add much insight, and certainly doesn’t actually prove the claimed result. 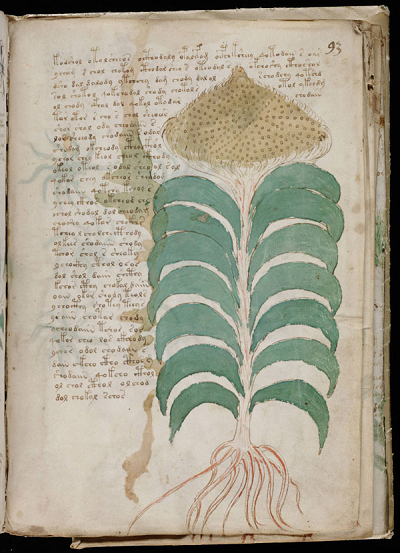 One thing seems certain: the title “Russian scholars unlock the secret of the mysterious Voynich manuscript” is vastly overstated. Show us some decrypted text and the method used to encipher it and we can try to apply it to other parts of the Voynich text. It’s not science if it can’t be published and replicated. One footnote: there are only so many names in Russian (which is why you need patronyms). Hmm, der Voynich-Text wurde also erzeugt, indem aus dem mehr­spachi­gen Plain­text die Vokale ent­fernt, alle ver­bleiben­den Zeichen mono­alphabe­tisch verschlüsselt und danach mit neuen und will­kür­lichen Wort­trennern ge­schrie­ben wurde? Das ergibt nicht viel Sinn. Der Text des Manuskripts hat z.B. so etwas wie Suffixe (also Zeichen­kom­bina­tio­nen, die ten­denziell am Ende eines Wortes stehen), die Zeichen­anzahl ist viel höher als die Kon­sonanten­anzahl des Latein­alphabets, und wenn man einen Teil der Glyphen als Vokale, den Rest als Kon­sonen­ten inter­pre­triert, er­hält man aus­sprech­bare Wörter. Ich seh nicht, wie diese Eigenschaften aus dem be­schrie­benen Ver­fah­ren folgen könnten. Was ist den nun ein VM-Experte ? Jemand wo mehr Theorien hat als andere ? Ich denke die Vokale wurden nicht entfernt, sondern versteckt. Ich denke mal Du verstehst etwas von der Sache. Es würde mich freuen wenn Du mal bei uns reinschauen würdest, und ,oder auch eine Kritik wäre erwünscht, da es mich möglicher Weise auf neue Ideen bringt. Thanks for letting me know. I didn’t know that your work and the one of Orlov are related. They now trying o delete fake info everywhere as possible (Russian Wiki alredy cleaned out all this news). Truly said I don’t want to work with Orlov – he is far far away from manuscript undestanding. Especially after such fake he announced. What about to make an article related not directly about VMS, but about very interesting correlation with enother manuscript? Eine allgemeine Verständnisfrage als Laie zu den statistischen Auswertungen der Handschrift: Deutsch des 15. Jh. hatte keine einheitliche Orthographie Wirkt sich das auf statistische Auswertungen aus? Bei Latein wäre das Problem in viel geringerem Maße vorhanden, bei anderen romanischen Sprachen weiß ich es nicht. Gibt es ein guten Artikel über die Handschrift als Objekt (Schrift, Ausstattung, Aufbau)? Ich finde im Netz vor allem Entzifferungsversuche, was mich als Handschriftenforscher aber weniger interessiert. Schrift und Ausstattung scheinen mir zu ähnlich den spätmittelalterlichen Handschriften, um wirklich an eine moderne Fälschung zu glauben. Man sieht bei vielen Zeichen förmlich die Vorbilder der geläufigen mitteleuropäischen Schrift des 15. Jhs. und es wirkt relativ natürlich im Duktus. Eine allgemeine Verständnisfrage als Laie zu den statistischen Auswertungen der Handschrift: Deutsch des 15. Jh. hatte keine einheitliche Orthographie. Wirkt sich das auf statistische Auswertungen aus? Bei Latein wäre das Problem in viel geringerem Maße vorhanden, bei romanischen Sprachen weiß ich es nicht. Gibt es eigentlich einen guten Artikel über die Handschrift als Objekt (Schrift, Ausstattung, Aufbau)? Ich finde im Netz vor allem Entzifferungsversuche, was mich als Handschriftenforscher aber weniger interessiert. Schrift und Ausstattung scheinen mir den spätmittelalterlichen Handschriften zu ähnlich, um sofort an eine moderne Fälschung zu denken. Man sieht bei vielen Zeichen förmlich die Vorbilder der geläufigen mitteleuropäischen Schrift des 15. Jhs. und es wirkt relativ natürlich im Duktus. >Wirkt sich das auf statistische Auswertungen aus? Ja, das tut es. Insbesondere hat sich das Deutsch in den letzten 500 Jahren verändert. Bei einer Untersuchung muss man daher entweder hoffe, dass aktuelle Textstatistiken nicht komplett falsch sind, oder man muss aus alten Texten Statistiken erstellen. Wäre mir leider nicht bekannt. Evtl. kann Nick Pelling mehr zur Handschrift sagen (http://ciphermysteries.com/). Das Paper von Andronik Arutyuno et al. ist nicht nachvollziehbar. Es bleibt bereits unklar was für Daten überhaupt analysiert wurden. Die Autoren geben an, eine als EVA und eine als Takahashi bezeichnete Transkription untersucht zu haben. Mit EVA wird allerdings nur ein Transkriptionsalphabet und keine Transkription des Manuskriptes bezeichnet. Darüber hinaus unterscheiden sich die Statistiken für die beiden untersuchten Texte so stark voneinander, dass die Autoren dem eine Text eine Nähe zu germanischen Sprachen und dem anderen Text eine Nähe zu slavischen Sprachen bescheinigen. Da es sich um zwei Transkriptionen desselben Manuskripts handelt, liegt daher eigentlich die Schlussfolgerung nahe, dass entweder eine der beiden Transkriptionen falsch sein muss oder aber die ermittelten statischen Daten wenig über das zu untersuchende Manuskript aussagen. Die Autoren untersuchen im wesentlichen die Häufigkeiten der in den beiden Transkriptionen verwendeten Zeichen und kommen auf dieser Grundlage zu dem Schluss, dass sich die Häufigkeiten der Zeichen für unterschiedliche Teile des Manuskriptes stark voneinander unterscheiden. Dies ist allerdings keine neue Erkenntnis. Schließlich hatte Prescott H. Currier bereits in 1976 auf derartige statistische Unterschiede hingewiesen und zwei Sprachen A und B für das Manuskript unterschieden (siehe http://www.voynich.nu/extra/curr_main.html). Und wenn es einfach nur schriftuebungen von einem adeligen waren, der gerade erst latein lernte? Also so eine art schulheft, in das auch gemalt wurde. With all the respect to the statistical results I must reject with smile the results of our russian scientists. It is funny but the language is so nearer under their eyes and they could not find it out because of the statistics!!! The language of the script is an ancient slavonic nearest to moravian and the alphabet is ancientof Glagolica. The translation of the first three pages is http://www.vestnik-kniga.com/ I have it in English too. Let me know where you like to send it to you. “The humble (beggar) Jamal from Jalam filiation of king Drig. I cuddle Plague with a present from the mountains Yamair. I strengthen the eyes with –Gyaur Lime tree a present from Yamam. I have cured face herpes. If you are interested, I am ready to send more detailed information, including scans of pages showing the translated words.